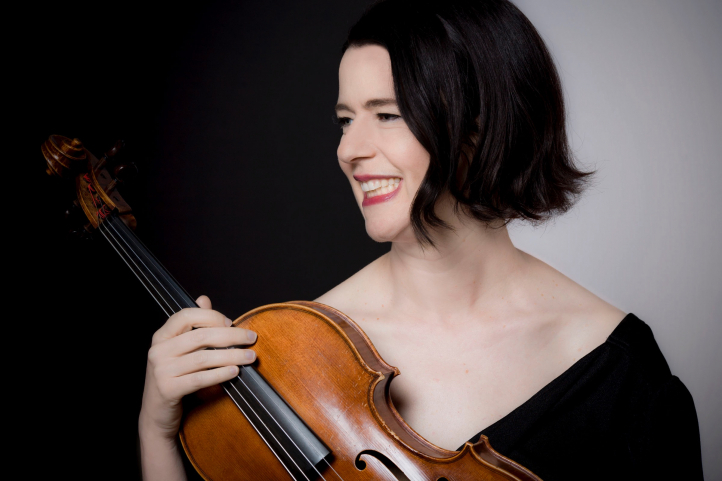 Faculty Recital: Melia Watras, viola, “Folk"
Wednesday, Apr 17, 2019, 7:30 p.m.
Violist/Composer Melia Watras presents the world premiere of her Folk Style Project, a collection of 13 songs for various combinations of voice and instruments, each one inspired by some personal, artistic connection in her life. The concert also includes Charles Corey’s In Paradisum for viola and Harmonic Canon; Watras’s String Masks, for viola, actors and Partch instruments; and her string trio, Kreutzer. Artists joining Watras onstage include violinist Michael Jinsoo Lim, cellist Sæunn Thorsteinsdóttir, percussionist Bonnie Whiting, and Harry Partch Instrumentarium Director Charles Corey.